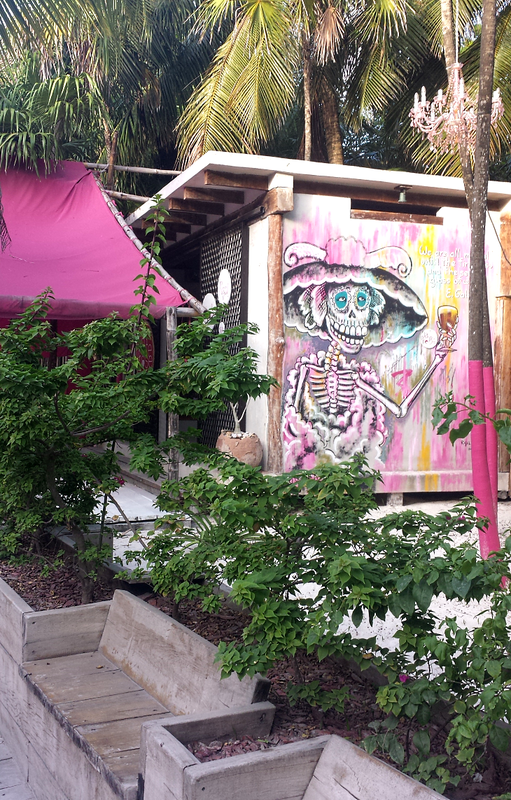 After three months, I finally got around to posting these photos from our trip to Playa del Carmen and Tulum. 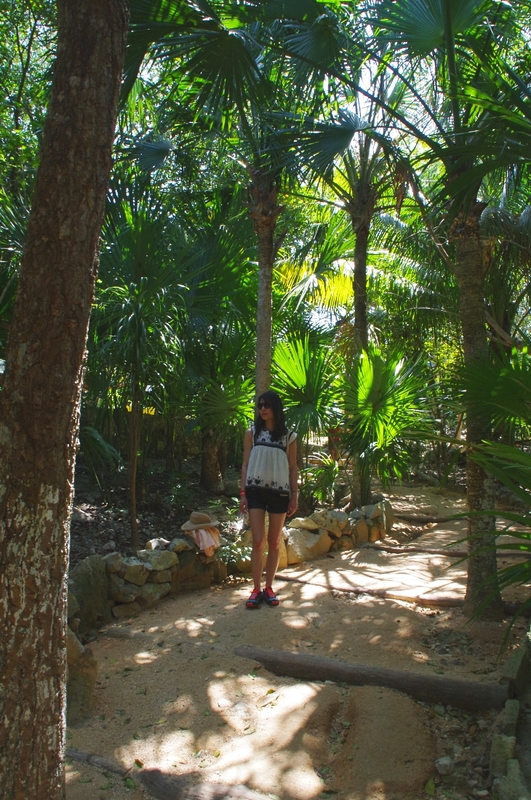 If I find myself craving the beach or somewhere tropical, it's nice to know that Mexico is just a quick 2-hour plane ride from Houston. 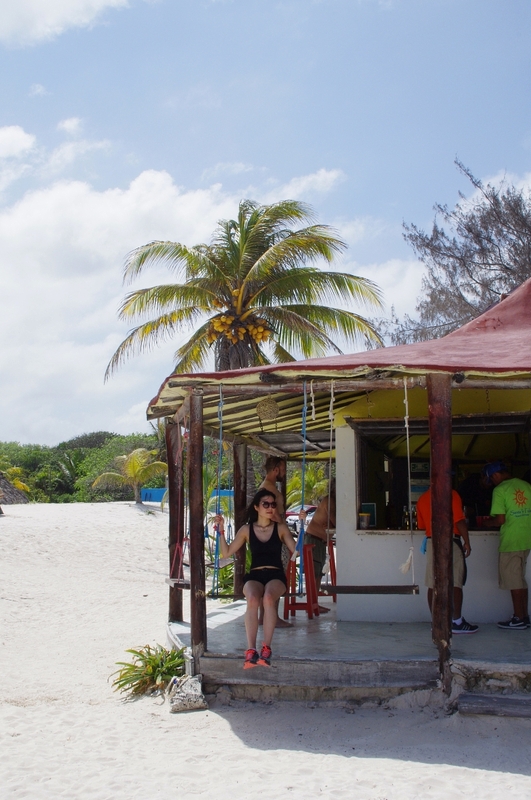 You might remember that my babymoon back in March of last year was in Cozumel. 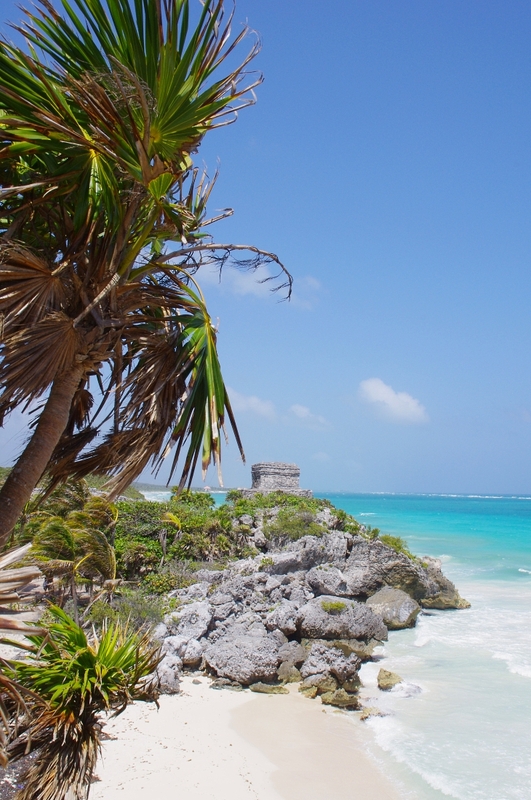 Well, since we love Mexico so much, we ended up returning for my post-baby vacation a year later. 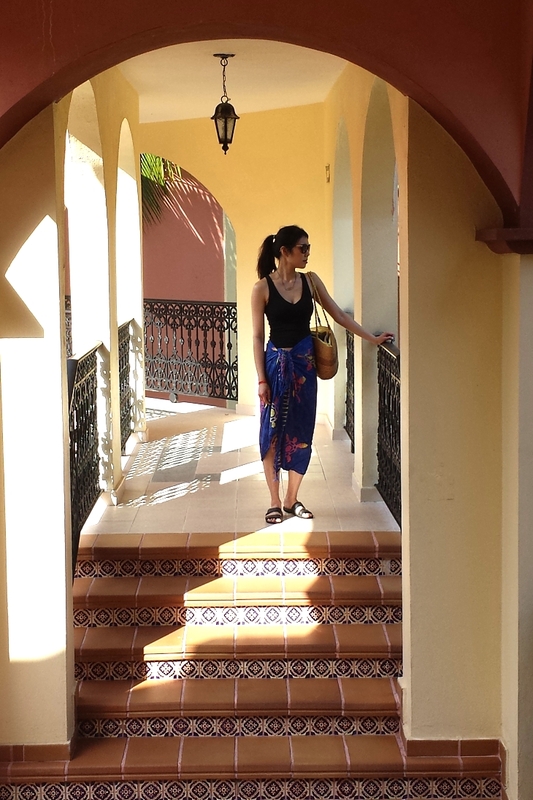 We stayed at the All-Inclusive Riu Tequila, which I highly recommend. 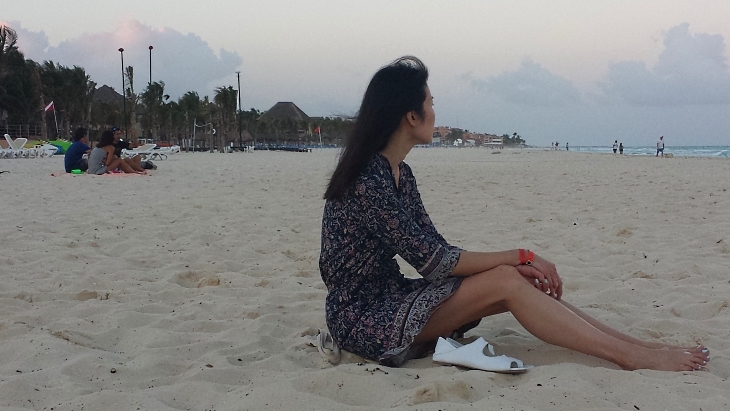 It's one of several all-inclusives nestled in a resort community called Playacar. 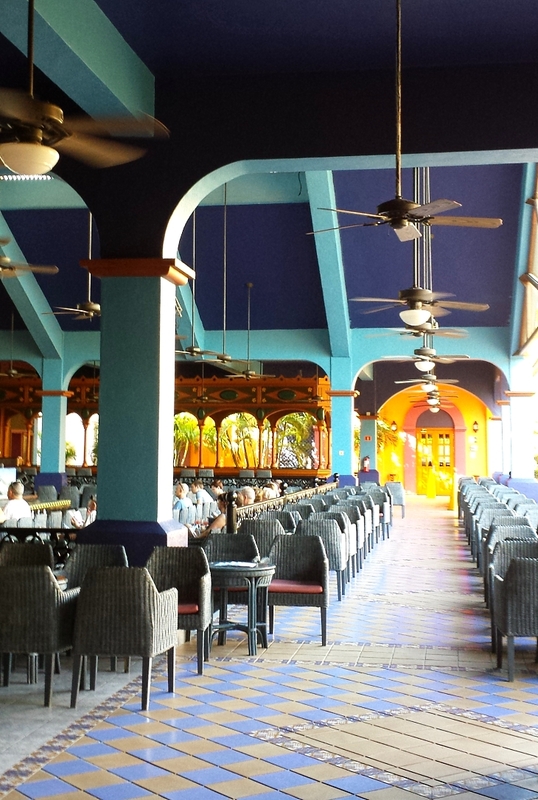 Beach access is literally across the street and shared with another Riu hotel. 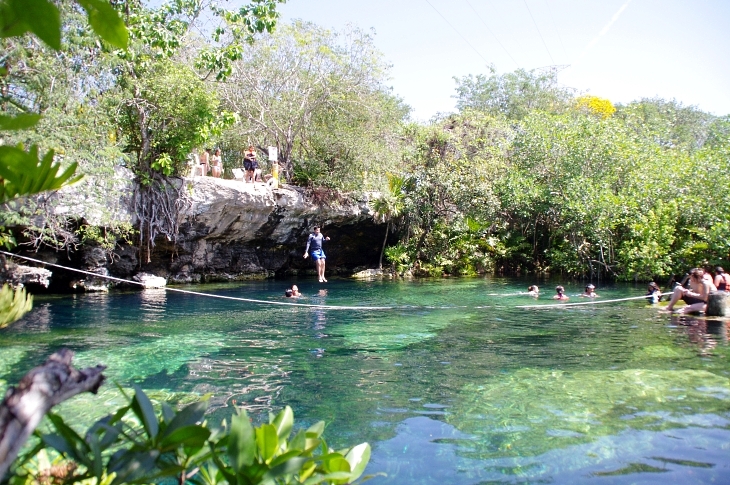 We visited several cenotes, or swimming holes, on our drive down the main thoroughfare between Playa del Carmen and Tulum. Okay, can anyone identify this creature? 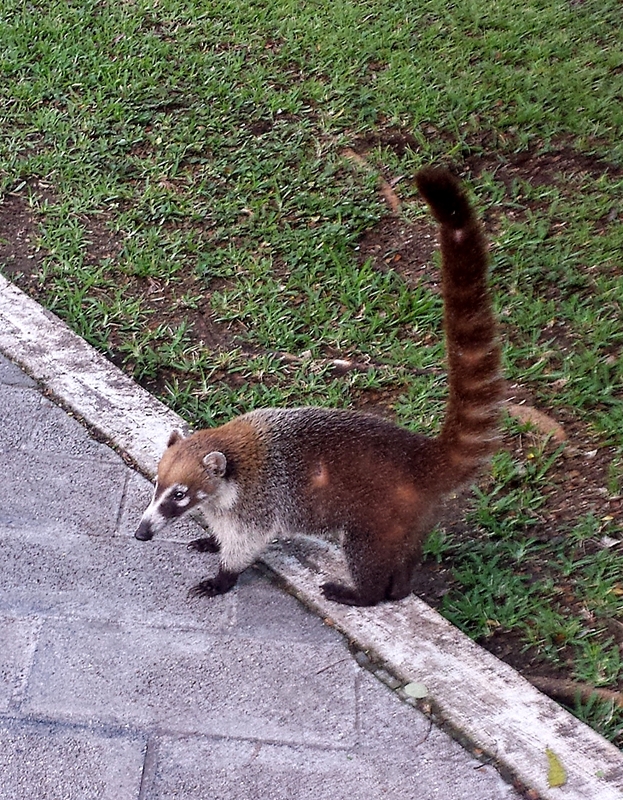 These guys were permanent residents of the resort. 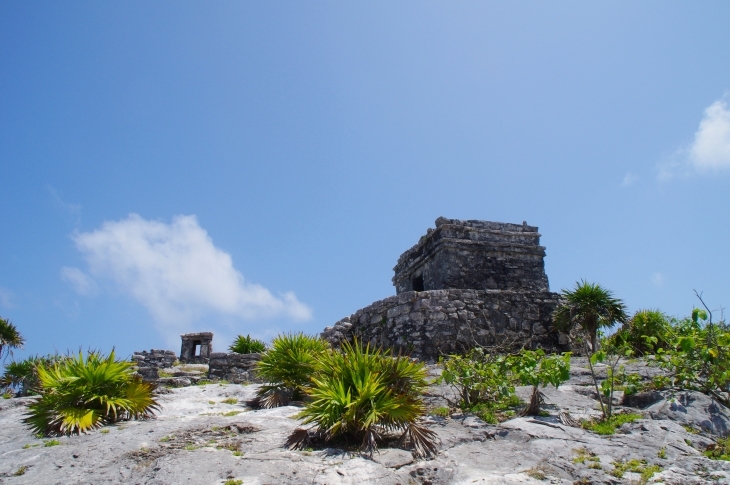 After studying the Mayan culture in college, I finally got the chance to see the beautiful ruins in person. 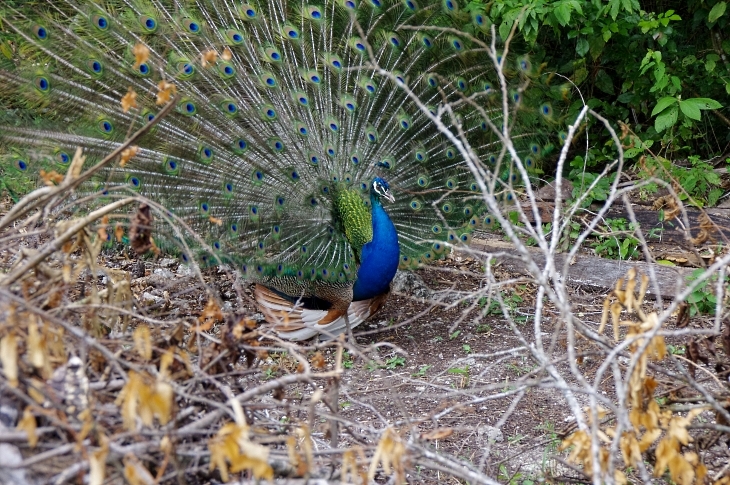 These are at the archaeological site in Tulum. I could stare at this water all day. 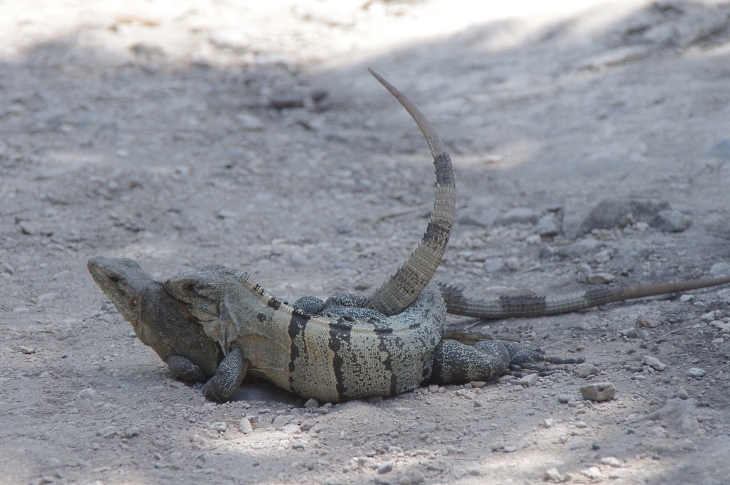 Oops, we interrupted an intimate moment between these two iguanas. 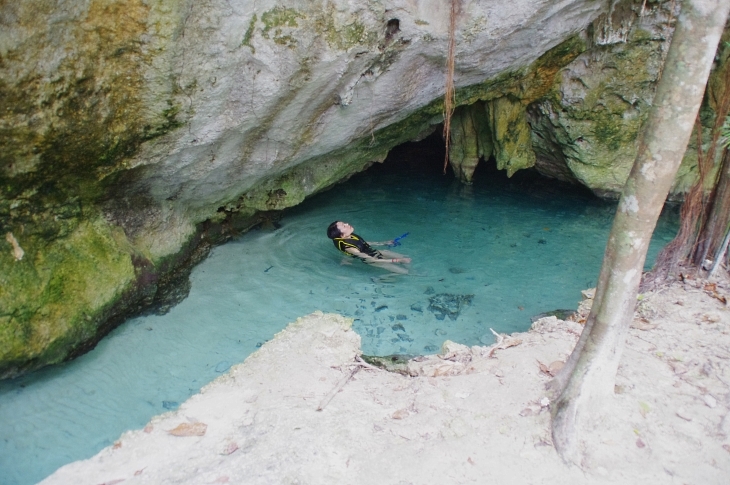 Floating in the waters of Tulum's Gran Cenote. This ceiling of this mystical cavern is covered with bats. 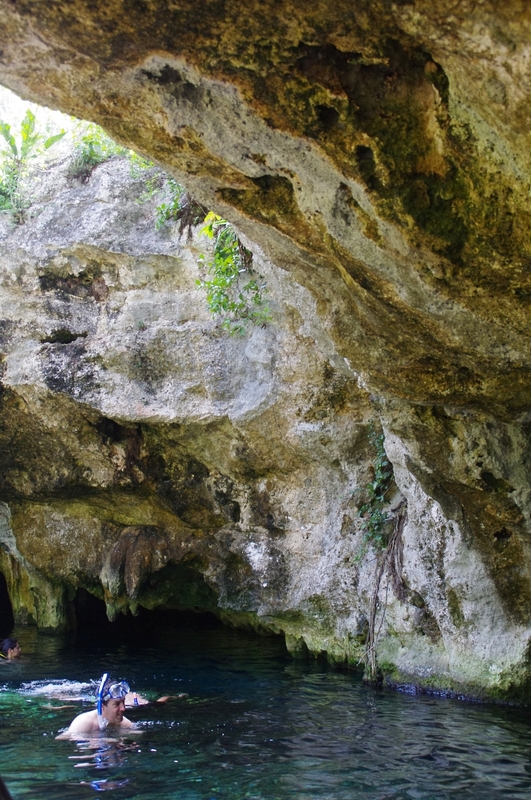 Swimming underneath them was both thrilling and risky, as you never know when you might get some bat guano in the eye! 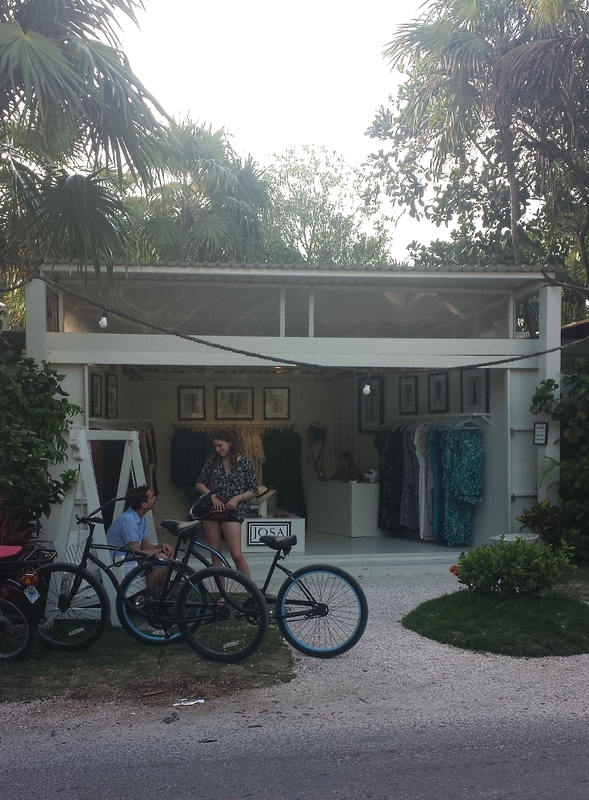 Wish we could have spent more time in Tulum to explore the cool roadside boutiques and eateries. I was steps away from Hartwood, but right when we got into the more popular area, I was overcome by food poisoning, or should I say bat guano poisoning. 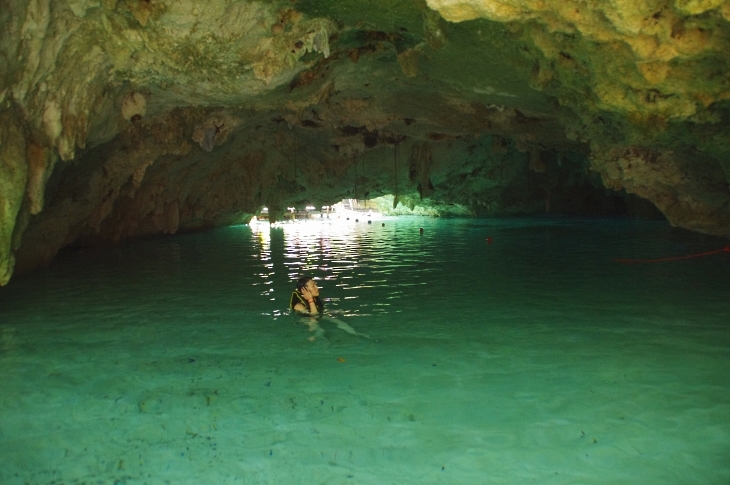 I accidentally swallowed a bit of the cenote water and felt the effects for the next two days. 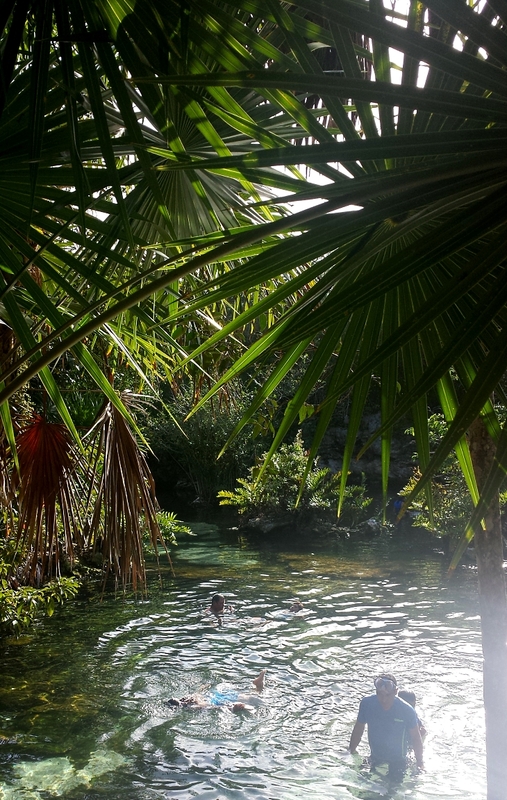 Despite suffering the ill effects of swallowing cenote water, I had a wonderful trip. 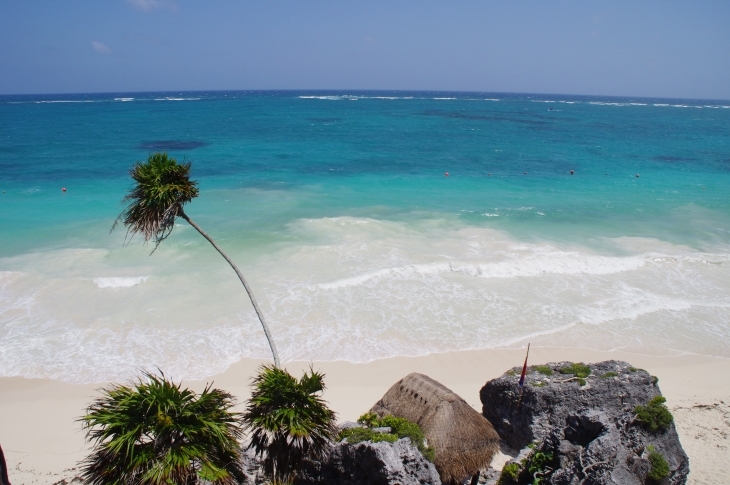 Because really how can you not enjoy yourself when the water is five shades of blue and the coconut is aplenty? One of the perks of having a blog is that I can actually see how my style has evolved throughout the years. 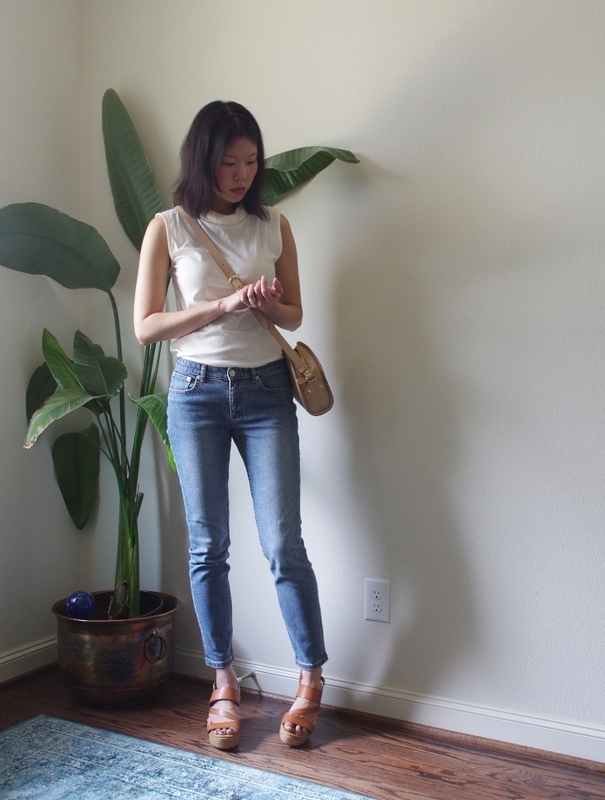 I have stayed pretty true to dressing for comfort and a more laid-back lifestyle but as my life moves into its next phase as a mother and career woman, I definitely see my style becoming more minimal. 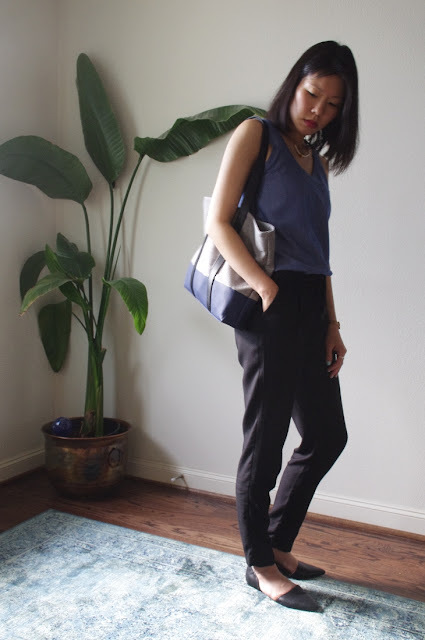 I now go for classic pieces which I try to incorporate into my work wardrobe if possible. I have to dress business casual at my job, so versatility is key. On my days off, I like to build my wardrobe off a nice fitted pair of jeans. Each pair of jeans I pick have their own personality, which I believe can make the outfit if they fit well and you're comfortable in them. For example, I love these A.P.C. jeans because they have a stone washed vintage feel and a nice classic fit that doesn't seem too trendy. 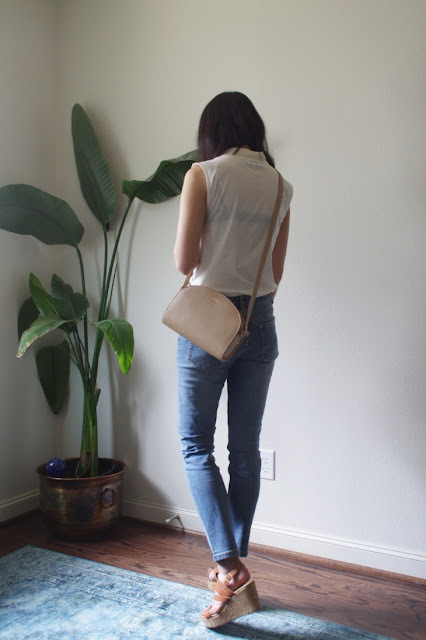 Lately, my favorite brands for chic and classic clothing have been A.P.C. and Finnish design house, Samuji. Most of the items from the A.P.C. collections are timeless and can be mixed and matched. 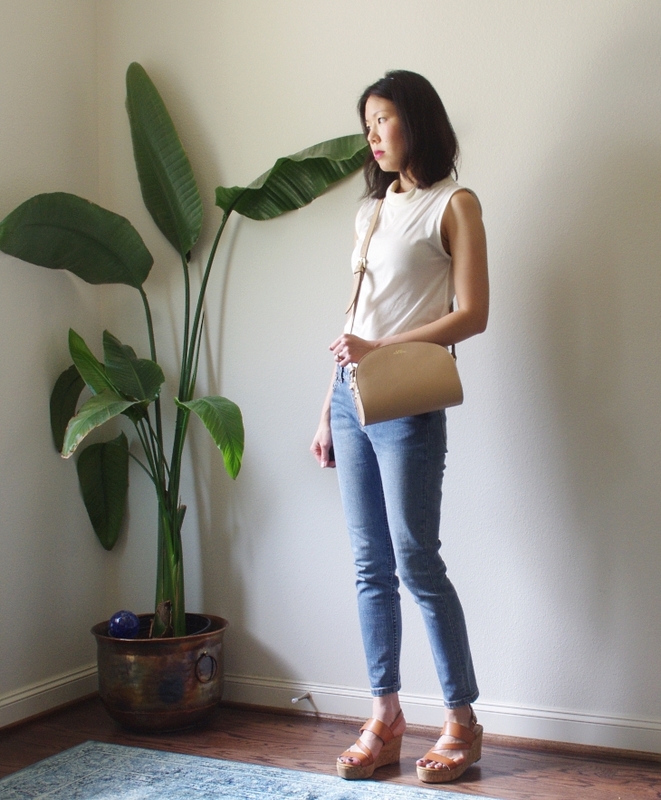 Samuji has a soft elegance that can be both casual or dressy, and each piece is subtly unique like the sheer Concy top with the padded neckline. 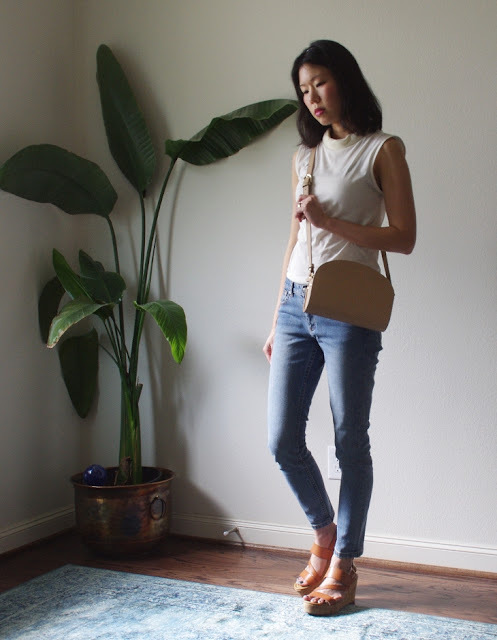 As I work on paring down my closet, I try to shop more thoughtfully in hopes of building a wardrobe with staples that will allow me to focus on more important things, like spending time with family. 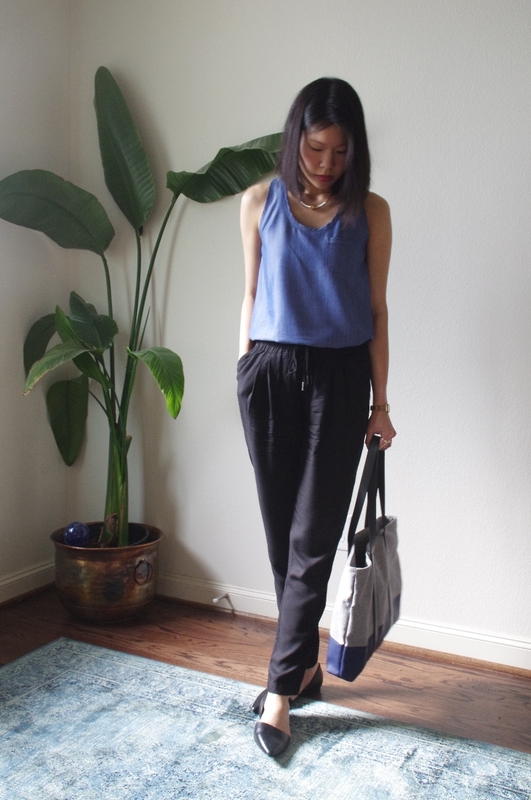 Since turning into a full-fledged mom, I've become a big fan of the tote bag. I've always liked totes for their easy accessibility, but even more so now that I have to carry baby gear wherever I go. 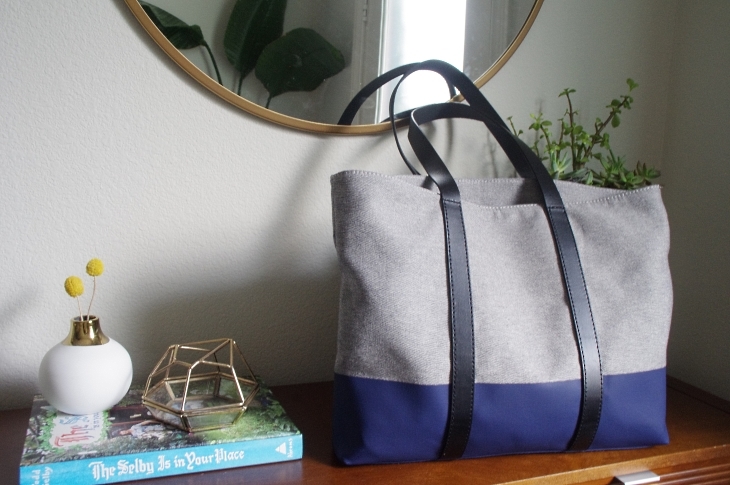 Yes, there are diaper bags specially made to carry all your baby needs, but most of them scream "MOM" and are not as versatile as I'd like. 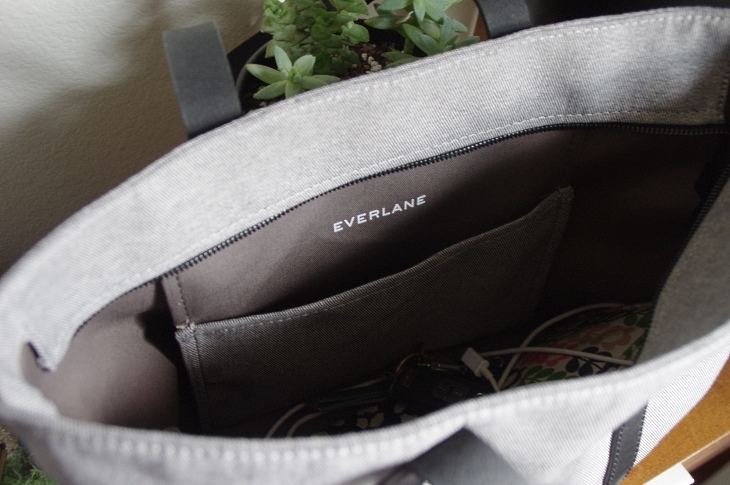 Everlane recently came out with The Dipped Zip Tote which I was immediately drawn to for its size and shape. It comes in a black twill w/ black leather, a grey twill with black leather straps and a blue bottom, and they now have a natural twill w/ tan leather base. At the price point of $60, it was hard not to make the purchase. As you can see, I went with the grey with contrasting blue bottom. 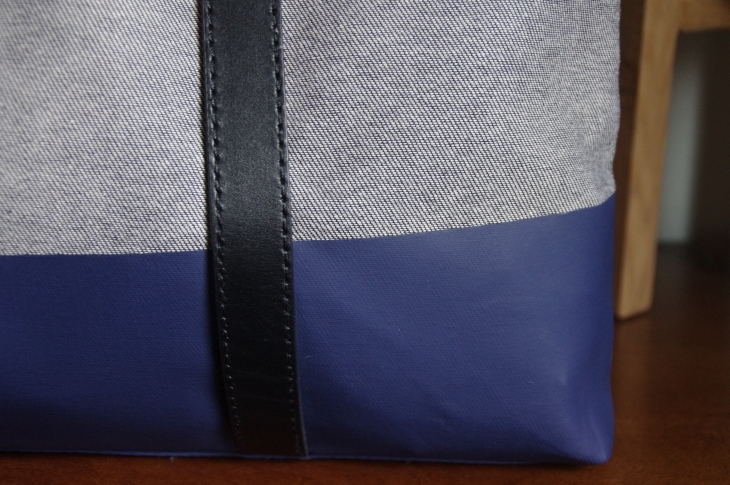 It's quite a handsome bag in person and can really carry a lot! Love this hanging interior pocket. I can find my keys and phone in a jiffy. When I say it carries a lot, I mean it. It can fit all the baby essentials including several diapers, bibs, sippy cup, formula holders, etc. and still have room for my overfilled wallet and makeup bag without feeling heavy. 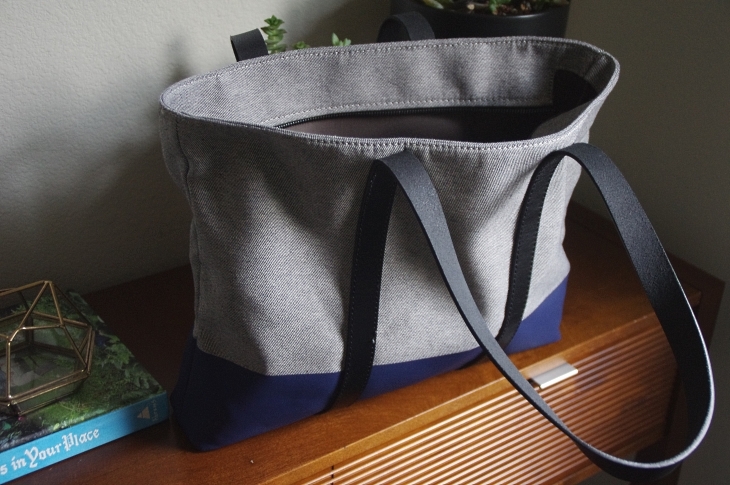 I have also used this bag for work and it's perfect for documents (even a laptop or tablet). For size reference, it's 17" w x 13" h x 3" d with a strap drop of 10.5". These are the measurements from my bag which are slightly different from the website. 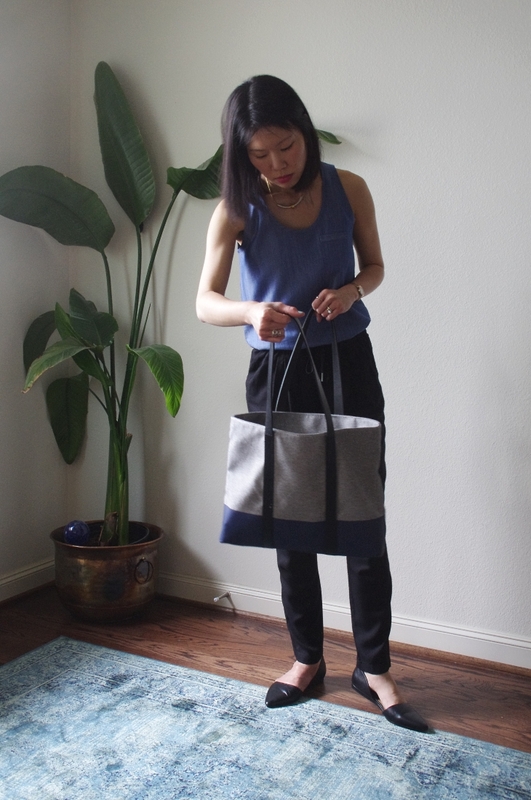 The printed bottom is great for keeping the bag structured enough to stand on its own and makes it easy to clean. 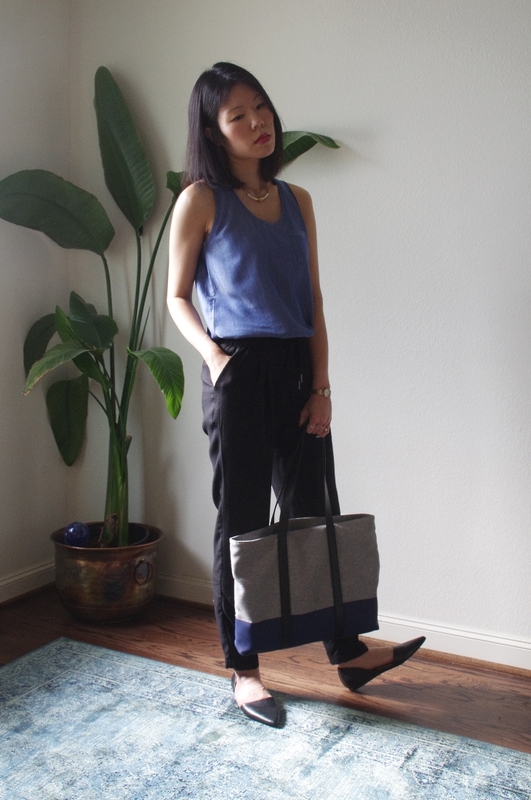 I'm also pleased that the twill is pretty heavy duty and not your average flimsy canvas making it much sturdier than any other tote I own. This is one of the best practical yet stylish purchases I have made recently.